The Oatmeal has some great comical grammar posts to help you remember how to use a semicolon, the proper use of the word “literally” and more. They are so useful that I bought the set and put them up on the walls of the Toronto Star’s training room. 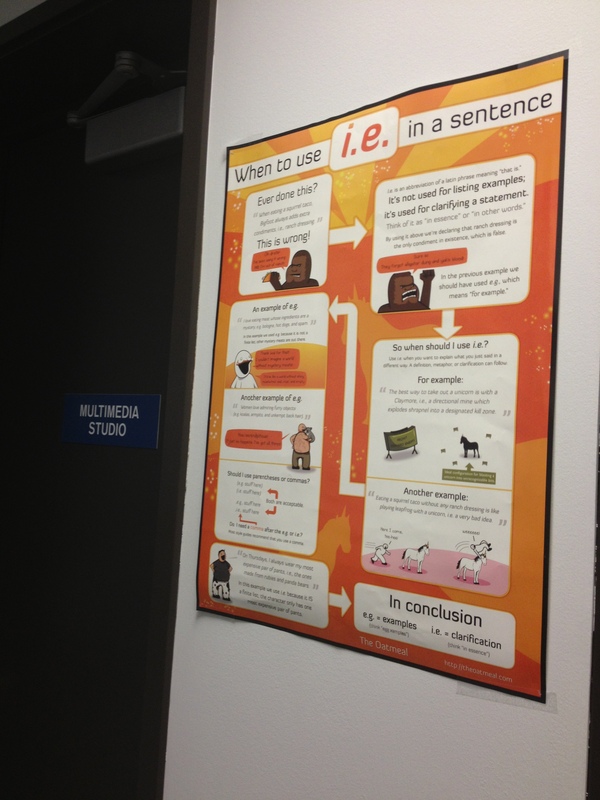 The Oatmeal’s grammar posters grace the walls of the Star’s training room.